Mid Season Review For the GOC Speed Championship Table Click Here! The Championship kicked off with a double header ( 2 separate events over 2 days ) on the Shropshire Hill over the Easter weekend. Track conditions at Loton provide little grip early season, but the weather remained dry. 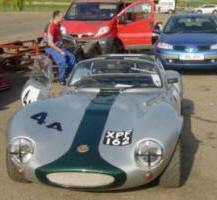 Event 1 - Saturday - Alone in class 4 Rob Pallett G33TVR finished on 61.97. 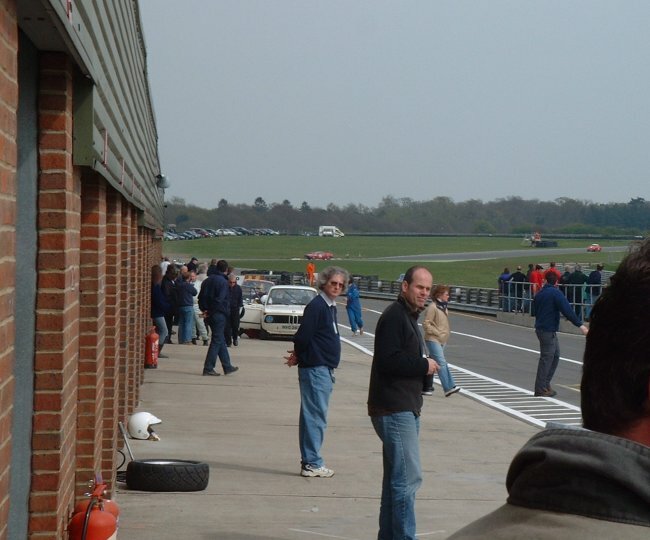 In class 6 Geoff Stallard G12 Lotus recorded 60.46. 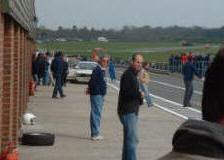 Class 7 - Graham Beale in the now much modified G33 Cosworth turbo running on slicks finished on 60.56, Nick Stephens G12 Dunnell- 58.07, Tim Moore G18 BDD-57.48 and setting a new Ginetta outright class record ( by beating his own 2009 record of 57.24 )Steve Fidler G18 BDD on 55.95. Event 2- Sunday - Martin Jones G17 Imp joined us for the Sunday event finishing the day on 59.31. Steve was looking forward to more record taking runs and big championship points but a driveshaft cried enough on Tim's first timed run leaving the pair with nil points. All others improved on their Saturday times - Rob on 61.01, Geoff breaking the class 6 target time of 59.81 to finish on 59.24. Graham 59.29, and with the G18 sidelined Nicks G12 took the class win with a 57.56. A class of 9 Ginettas for this popular Yorkshire Hill . With fine conditions Mark Paterson G15 got very close to Les Czakow's target time of 70.50 , Mark finishing the day on 70.67.Also in class 1 Richard Branson recorded a best time of 78.61 in his G15. In class 3 Matt Eady G4 Zetec finished on 67.37. 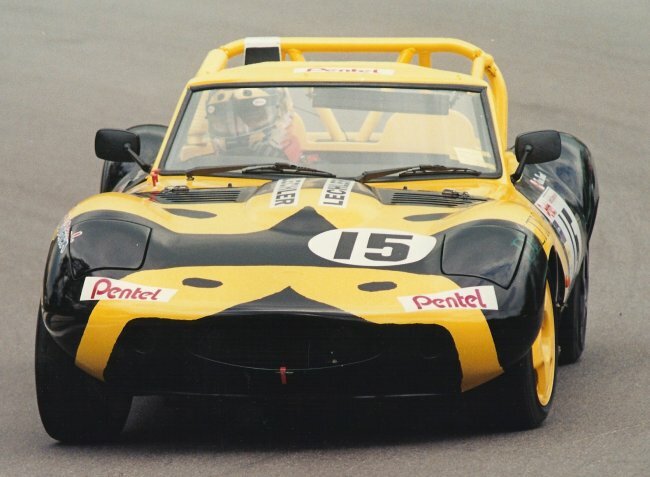 Class 4 Rob Pallett G33TVR - 66.31. In class 7 Graham Beale G33 - 65.94, Martin Jones G18 - 65.84, Tim Moore G18 - 63.81, Nick Stephens - 62.35 and taking the Ginetta class outright Steve Fidler G18 - 61.43. Not so popular this Wiltshire Hill probably due to the scarry downhill section, 5 Ginetta Competitors, sunny and warm conditions. Class 6 - David Tearle recorded 38.20 on his first timed run , robbed of his second run when the chain broke on the G12 Honda Blackbird returning down the Hill after James Tearle's run of 36.83. Geoff Stallard G12 split the two Tearles with a best time of 36.87. Steve Fidler G18 set a time of 35.44 but Nick Stephens G12 broke his own outright class record by 0.37 secs to reset the Ginetta record on 34.54. Even less popular - only 2 Ginettas making it to this Devon Hill and very changeable conditions left Dominic Flint G27Lotus with a best time of 54.44, leaving the class win to Geoff Stallard G12 on 47.81. 6 hour race didn't quite go according to plan. My G4 had early fuel and then electrical problems. After these were sorted it ran really well, my co driver enjoying playing with modified lotus Elises. However, our other team car had an early off, bending the chassis and all the other attached items. Both driver and passenger were fine but obviously ending in early retirement. Now needs to some work to get it ready for the rally. So after this it turned into a shakedown for our car after its rebuild. HSCC Silverstone This 42 car race was run on the full GP circuit. 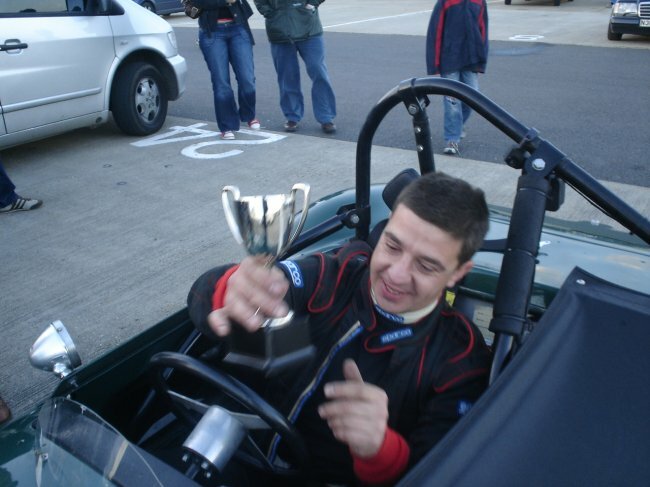 Dave Randall used 8000 rpm (128 mph) on a couple of occasions to bring his G4 home 2nd overall to the pesky Morgan +8. 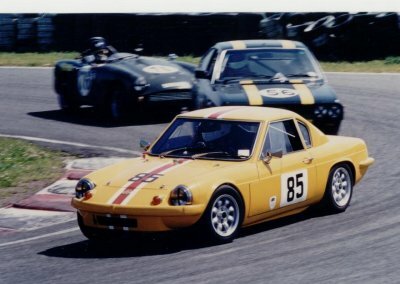 He also beat the TVR Griffith that runs in the invitation class. As that car pulled into the pit lane at the end of the race, 3rd was awarded to the mad Australian in his G4! Patrick was second in class and 18th overall in his G4 and Peter Bornhauser was 3rd in the same class and 25th overall in his G15. 28 mr 2010 HSCC Silverstone . Graeme Dodd's G16 1st overall in the Guards Trophy. beating all the Chevrons etc. In Historic Road Sports the G4s had a good day: Dave Randall was narrowly 2nd to a Morgan +8 and Justin Murphy was 6th. CSCC Snetterton 10th April 2010. 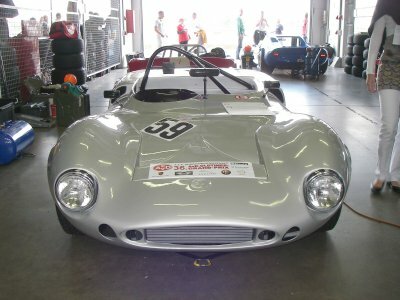 Paul's G4 was 6th in the Swinging 60s and a mad guy in a yellow G4 on Historic tyres did well in the other race too! HSCC Cadwell Park 11th April 2010. An overall win for Dave Randall, Patrick's smaller engined G4 was 7th and 2nd in class, Peter Bornhauser's G15 was 3rd in the same class. Palle from Denmark sent this remarkable news: We did a great run at the 2 hours Gentlemen Race became 12 overall and 2 in under 2 liter class. My co driver clocked 3:06 at SPA, I could not do better then 3:10. Next year we will be back, with a better aerodynamic Ginetta, to get more top speed. In the tricky part, we were as fast as the winning car. Good news from Castle Combe. 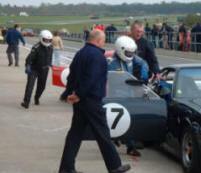 Roger reports: Dave Randal came second in the HSCC Historic Road Sports – his first race of the year. The race ended under the safety car, which was a shame because Dave was gaining on the leader (James Paterson, Morgan V8) and shaping up for a lunge when the incidents occurred that bought out the safety car. 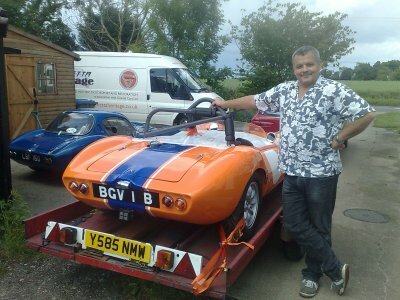 The new owners of Ted Walker's G16; Graeme & James Dodd, won the HSCC Guards Trophy race, beating a swarm of Chevron B6/8s. They seemed to cope with the traffic better and made the right pit call when the safety car came out just after half distance. Sadly, George Douglas had problems in practice with his silver G16 (he still has his white G12 apparently!) and qualified well down. In the race he circulated off the pace before retiring at about quarter distance. 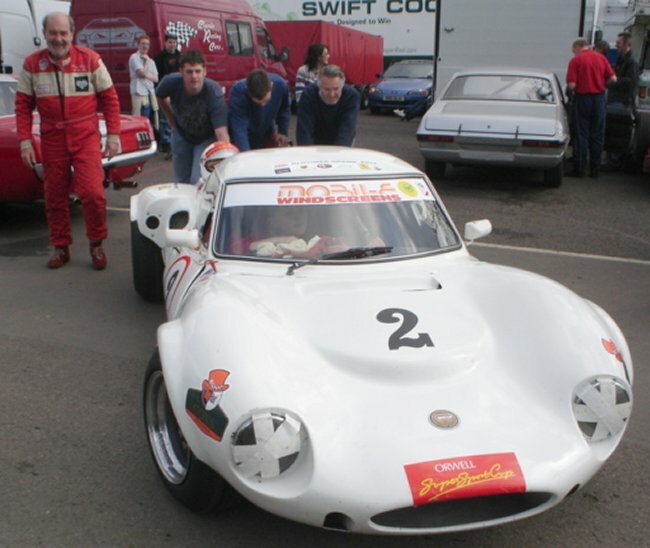 We followed the Ginetta factory Le Mans effort as often as we could over Le Weekend. Good effort chaps! Gerry helped us at Oulton at the weekend but despite our efforts we were thwarted by a mystery ignition problem. However we got to learn about Gerry's plans to promote G15 racing which will compliment Ginetta Heritage Racing nicely. 19 ja 2009 The 2008 GOC Sprint and Hillclimb Championship results can be found in the motorsport section. Our G4 is gaining new shocks and springs, an LSD, a new seat and hopefully a few more bhp prior to the forthcoming test day. Dave Randall was out at Cadwell yesterday. He qualified 2nd, dropped to 4th at the start and made it past the Griffith and an Elan in an exciting and very wet race to finish 2nd overall. Dave Randall won the first round of the HSCC Historic Roadsports in his G4 at Donnington recently and he's coming to our race at Mallory. He beat his mate in the Griffith who started from pole by 8 seconds!